The Easy Way to Save with USPS Bulk Parcel Rates! Buy Postage $aver for Parcels and get a FREE listing in our Mailing and Printing Services directory. Postage $aver for Parcels is low-cost bulk parcel shipping software that makes it easy for you to save money with low USPS bulk parcel rates! uploads tracking file ("SSF") to USPS with one click. Use Postage $aver for Parcels to prepare Marketing Mail (marketing and nonprofit parcels), First Class Package Service (with new zoned rates), Bound Printed Matter and Parcel Select Lightweight. For Windows or Mac. Try Postage $aver for Parcels FREE for 30 days! Just 129.50 complete (no monthly fees). Includes a full year of updates and tech support! Special Offer - Save $29.50 when you add Postage $aver Pro! Postage $aver for Parcels prints USPS-certified parcel tracking labels using regular sheet printers or Zebra printers. Postage $aver for Parcels is the easy, low-cost way to get low USPS commercial parcel rates for packages weighing less than a pound, and for Bound Printed Matter parcels up to 15 pounds. Use our quick rate calculator to find out how much you can save! For fast First Class Package Service, rates start as low as $2.66 for parcels weighing up to ¼ pound. Or, if you have at least 200 identical pieces or 50 pounds, Parcel Select Lightweight starts as low as $1.68. 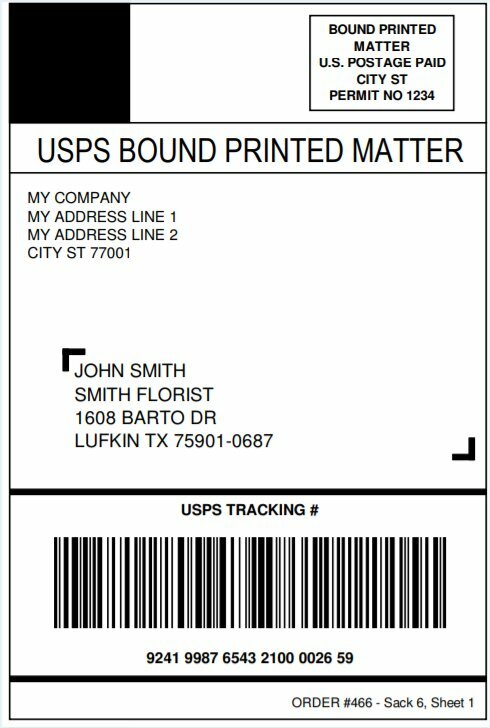 If you're mailing catalogs or books weighing a pound or more, you can usually save using Bound Printed Matter service. Postage $aver for Parcels handles Bound Printed Matter mailings with no minimum quantity, and weights up to 15 pounds per piece. For nonprofit organizations, Marketing Mail Nonprofit Parcels service offers deep discounts if you are shipping at least 200 pieces or 50 total pounds. Postage $aver for Parcels will prepare those shipments, and also handles Marketing Mail "Marketing Parcels" service. Plus, you can also add special services like return receipts, insurance, and signature confirmation. Postage $aver for Parcels makes it easy! User-friendly - Learn how to use it in just minutes. Complete user guide and screen-by-screen help included. Transmits your Shipping Services File (SSF) to the USPS Parcel Data Exchange web site with one click, so you can easily view and download your tracking information on-line. Works with all standard spreadsheet and database formats, including Excel, Access, dBase, Filemaker Pro, and most others, so you save time and money and don't have to re-enter your list. And Postage $aver for Parcels is backed by more than 25 years experience helping mailers successfully prepare bulk mailings! Samples shown are printed 4-up on a legal-size sheet. Labels can also be printed on roll stock using "Zebra" printers. Postage $aver for Parcels includes a detailed user guide and screen-by-screen help to answer most any question you might have. But to get started without reading all of that, we also offer these quick start guides. Plus... Postage $aver for Parcels can handle almost any other data base software by doing an easy data export.